You don’t have a website but recognize the importance of one in this day and age, so you’re looking to design and build one. You already have a website but are looking to change to a new platform or switch hosting. No matter the size or type of company you own, a good website is important—and this includes more than the design. You need a good platform and hosting that provides security and allows for easy SEO updates. You atleast have a few options to choose from. ThePixel, Wix, Weebly, Squarespace, and WordPress website builders/companies—but which one is the best? Well, you’ll find out soon enough! You’ll probably get a few different answers when you ask different companies what the best website builder is. We suggest you think long term what your business needs and goals are. You want to invest in your business website and use the digital age to grow your business. The largest generation is now the Millennial which happens to be the digital generation. By not having a website that is custom you wont stand out from your competition and customers will judge you for your outdated website and perhaps outdated services you provide. Our pixel perfect websites include a content management system, mobile-friendly solutions, built-in seo features, all legal rights, social media platform integration with a drag-and-drop website editor. ThePixel creates websites that are extremely convenient and user-friendly—hands down its biggest advantage. Those with no website experience and who aren’t tech-savvy will be able to easily navigate ThePixel’s website builder (CMS). The simple online platform strips away the need for manual coding and replaces the process with an intuitive drag-and-drop interface. If you’re unsure where to start with website design, ThePixel also offers many pre-designed layouts for your convenience. This is a lot of information, but with ThePixel, you don’t have to worry about the website stuff on your own! We take care of that, so you can spend more time growing your business. You own (not rent) all aspects of the website. Custom website option allow you to easily edit, update and manage all sections of your website – Ex: branding colors, typography, header sliders, unlimited sidebars, blog posts and contact forms. Training instructions with step-by-step tutorials are included. Template website option allows you to easily manage main sections of your website – Ex: photo gallery, events calendar and portfolio. Training instructions with step-by-step tutorials are included. Intuitive drag-and-drop website builder interface allowing you to update any section of your website. Dedicated project manager, website designer, web developer & phone or email support. Cost is a little more but NO monthly subscriptions – You own the website. Your website is a business investment. At ThePixel we’ve created websites from 2009 that are still online today! Weebly is a monthly subscription services that has a user-friendly website builder similar to ThePixel. The simple online platform enables a drag-and-drop interface to add or edit limited content depending on which template you choose. Unlike self-hosted websites, you can only host Weebly yourself by signing up with a hosting provider that has partnered with Weebly; the site builder is not available through one-click installations as are other major content management systems. NOTE: Self-hosted means – installing the software on your own hosting account, giving you total oversight of your website. Renting web space at a monthly cost. Weebly’s blog features aren’t the most up-to-date and convenient—for instance, there is no way to display related posts or the latest posts (which is a basic feature for most blogs). Weebly’s template options are somewhat limited and more basic, so they may be behind in terms of beautiful, custom-designed, modern websites you see frequently dominating the first page of search results. 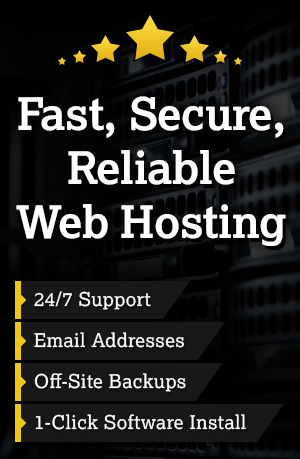 You can not easily chance web hosting providers. You do not own the content on the website. Wix has a lot of beautiful, modern looking templates to choose from. They even have email sequences, which is mainly focused on hard selling their premium plans over helping. Their backend is straightforward, but requires some clicking and strategizing to decide what to do next. Yes, you can build a website with Wix but it’s not a good investment for your brand, online reputation and business. Wix doesn’t allow any CSS customization, so you’re really stuck with whatever templates they have. Choose a template and have your website in minutes. Wix doesn’t allow any CSS customization, so you’re really stuck with whatever templates they have. Wix is not competitive at all on any tier. They don’t even remove Wix ads on some premium plans. Wix uses HTML5 / AJAX engine to build and serve their pages. The system is a lot better than their old Flash technology, but is still incredibly clunky to use. Wix websites get a URL structure that works, but is not ideal. It runs more like a game application than a website…. it’s going to be slow. Like Wix, Squarespace templates are attractive and can give you a more high-end look for your website (unfortunately, there are fewer options). As with many of the other website builders, you can easily change templates with Squarespace. Using plugins to optimize for SEO (such as headers and meta data) isn’t as easy as other platforms. Squarespace requires some workarounds for custom meta data and can be hit or miss with Open Graph information. When you choose a mobile responsive template, it’s automatically optimized for mobile devices and that’s pretty much that (you don’t have much more control over your website visitors’ mobile experience). With today’s mobile trends, this isn’t ideal. Your site can get limited in size based on the pricing plan (this was the case for one of our former clients on Squarespace). Squarespace does not have phone support, but they do have 24/7 live chat and email. WordPress is a popular and widely used website builder. If you dont already know it WordPress.org provides free software to build a website. WordPress does not have a drag-and-drop interface included but you do have the option to purchase a drag-and-drop plugin. We strongly suggest you do research to make sure the plugin you’re purchasing it secure and reliable. WordPress requires you to do a lot of your own work even if it offers free website templates you need to fully understand the application to make sure your not getting an unstable website template and/or plugin making yourself venerable to hackers. WordPress gives you the ability to customize things like the sidebar for conversion, sticky headers, etc. It’s simple to update your site on WordPress while also staying on top of Google’s best practices. It’s easy to optimize for mobile friendliness—recommended by Google, the WPtouch plugin instantly enables a mobile-friendly version of your website that passes the Google Mobile test and helps ensure your rankings don’t drop due to not having a mobile-friendly site. Limited customization unless you have HTML/CSS knowledge. You must choose a web hosting provider that has WordPress on their web server. Requires platform and plugin updates weekly to ensure a secure platform from potential hackers.